Hi everyone! My name is Elena Yui Zafrul. My mother is Japanese and my father is Malay. I was born and raised in Johor Bahru, Malaysia. I’m 18 years old and currently studying in Iowa. I can speak Malay, Japanese and English. My parents separated when I was young, so I was basically raised by my mom in a Japanese-like household. I’d speak Japanese with my mom, but when I’m with my sister, we’d communicate in Malay. My childhood was pretty rough. Since Malaysia was once invaded by the Japanese, the kids at my school would be mean to me. They would call me names and tell me to go back to Japan. I once told my principal about it and all she said was, “Did you lose a hand? Are you bleeding? No, then I think there’s nothing wrong here.” I guess she thought that it was just kids being playful and whatnot. She wasn’t biracial, so I guess she didn’t know the things that I had to go through. When I was 13, I moved to a school in the city, nowhere near my previous school. I made new friends and everyone there never picked on me for being half Japanese. They never called me names or made me feel like an outcast. In fact, my friends find me unique for being half Japanese — it’s rare in Malaysia to find someone who’s half Japanese. Some of the friends I made are still my best friends even after five years. They’ve helped me embrace my Japanese side without having to worry about whether I’d fit in well or not. My mom is of course the reason that I made it this far. She would always fight for me when I was denied my rights. I know it was hard for her to raise my sister and me in a place foreign to her, but I’m proud to say that she is the best mom in the universe! Although my childhood was rough for being half Japanese, I never blamed her. I love her so much and I’m thankful to God for making this my destiny. If I was given the chance to change who I am, I would still choose to be half Japanese and half Malay, just as I am now. 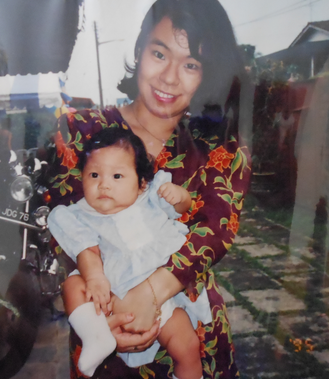 Although I have gone through a lot as a biracial child, having my rights taken away from me for not being ‘fully’ Malay, I am happy with who I am, I am proud to call myself a Hapa. Hi Elena. I know this all seems random to you but I myself am half Malay half Japanese though still living in Malaysia. Hi =) I do have several half Japanese half Chinese friends here in Malaysia but half Malay is for some reason is so much scarcer.. I thought I’d make my acquaintance because you seem to have gone through a very similar childhood where you find some difficulty sort of having a sense of belonging, due to being multi racial. I’ve always found myself in situations when I was younger where I am ‘neither here nor there’ in the sense that when I hung out with my Malay friends they would treat me like one of them but there’s this semantic block between me and them. This was due to the fact that my Malay is.. somewhat inferior due to me going through international school..and I look nothing like them. When I hang out with my Chinese friends I blend right in appearance wise but culture and language wise again I fall behind. Another thing we also share in common though is that both our Japanese moms are awesome, raising me in a country she was not familiar with, and having difficulty communicating and relating to the locals due to a vast cultural and ethical difference. I guess what I mean to say is that I think I know exactly how you feel. Throughout my life I’ve always lacked a sense of racial belonging so I somehow feel it an uplifting experience knowing there are others like me, and I have a feeling you may feel the same way. Hi Fariz. I know how you feel. I have a lot of malay friends, but sometimes I still feel out of place. Like, I’m not Malay enough, but at the same time I’m not Japanese enough to pass as a Japanese. Its good to know that there are people like me out there that I can relate to! Hello Elena, Thank you for sharing your experience. I have a 4 month old daughter who is half Malay and half Japanese, just like you :)! I am a Japanese, married to a Malay Singaporean man and currently live in Singapore . Have you ever visited Japan and do you keep in touch with your Japanese side of the family? Did you ever get Japanese education (reading, writing etc). As you say, there are not many Japanese Malays around so I am curious for my daughter’s sake :) I am glad you are now embracing both of your cultures, it’s a beautiful thing! Hello! Yes, I’ve visited Japan a number of times, in fact, I just went there a few weeks ago. I’m in Johor Bahru now for the summer, and as you know, it’s quite near to Singapore :) I did learn Japanese for one year in secondary school, but only the basic stuffs like hiragana and katakana. I’m planning to take Japanese at my university next semester. 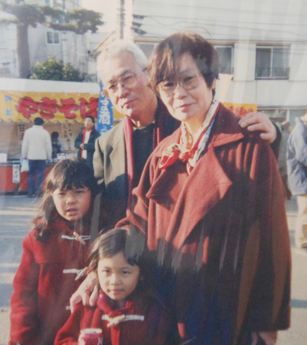 If you would like to know more about how my mother raised my sisters and me, you can visit her blog, http://ameblo.jp/elemarirai I’m glad to know that your daughter is half Malay and half Japanese like me!